Luxury Experiences is a full service DMC dedicated to creating authentic travel experiences. Your clients’ vacation time is valuable, which is why we recommend only the best-of-the-best. The result? Vacations that won’t leave your clients with unwanted surprises. Member of Leading Hotels of the World, the world renowned Grace Bay Club offers first-class hospitality and luxury all the way. An award-winning luxury resort set on its own private island. With 1,000 unspoilt acres and mile-long beach, your clients can expect foot-in-the-sand luxury. 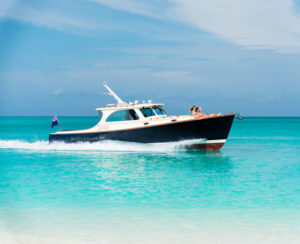 Defined by a spirit of relaxation and adventure, The Shore Club Resort brings an exclusive Turks and Caicos resort experience to the most sought-after stretch of Providenciales: Long Bay Beach, a stunning, secluded beach minutes away from Provo’s town center. An indulgent spa, four pools, three restaurants, luxurious accommodations, and breathtaking views elevate the resort beyond paradise. An exquisite 72-suite resort spanning 12 acres at the heart of Grace Bay Beach offering stylishly-appointed suites that ensure peace and tranquility with world-class amenities, including a 25,000 square foot spa and state-of-the-art infinity pool. This sleek boutique resort marries Caribbean cool with urban chic in a way that only New York’s hippest hotel mainstay can. Indulgence takes the front seat at the completely modern beachfront retreat where every room boasts stunning ocean views of Grace Bay beach. Pure luxury and all the amenities you can dream of exists at this stunning resort that sits at the heart of the Grace Bay tourist area. Your clients will enjoy the beachfront bar, spa, large pool, and being in walking distance to everything including..
53 luxury style suites, a full range of amenities, your clients will enjoy this beachfront gem along with the long reverse current lap pool and an immaculate infinity-edge pool – this is a 4.6-acre property with Mediterranean architecture and lush gardens to round out the resort experience. An award-winning boutique resort overlooking a 300-foot stretch of pristine sand on Grace Bay Beach your clients will enjoy personalized attention of gracious staff that understands how to meet their every need without intruding on privacy. Offers great value, quiet ambiance, and stylish suites, and located minutes away from two snorkel reefs, your clients will enjoy the poolside restaurant/bar, friendly beach staff and the wide variety of watersports. 46 suites with chic architecture and superior finishes. A luxurious boutique resort, offering 30 one, two, and three bedroom suites. Featuring British Colonial architecture, each suite is elegantly appointed with mahogany entry doors, Italian granite countertops, Indonesian teak furniture and a variety of exotic fabrics. Surrounding the pool are four cottages – actual replicas of Grace Hutchings original honeymoon cottage. This All Inclusive luxury boutique resort on Grace Bay features just 21 suites, an onsite restaurant and a full service spa. Elegance meets relaxation here, where the rooms have no numbers and each suite has a designated pampering pod on the world’s best beach. Beach House offers one and two bedroom suites with pool or ocean front views. 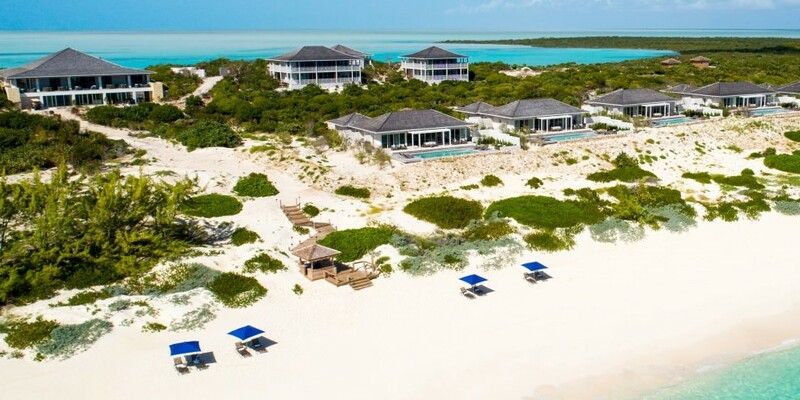 Located on the island of South Caicos, this stunning property comprises of Ridgetop Suites which are elevated above the shoreline offering panoramic ocean front views of the pristine beaches. Perfect option for clients looking for a remote island getaway with a relaxing yet luxurious feel.